Advertisements of the past are a sure way for people to immediately pinpoint and reflect upon cultural, technological and other changes since the eras in which they were produced. 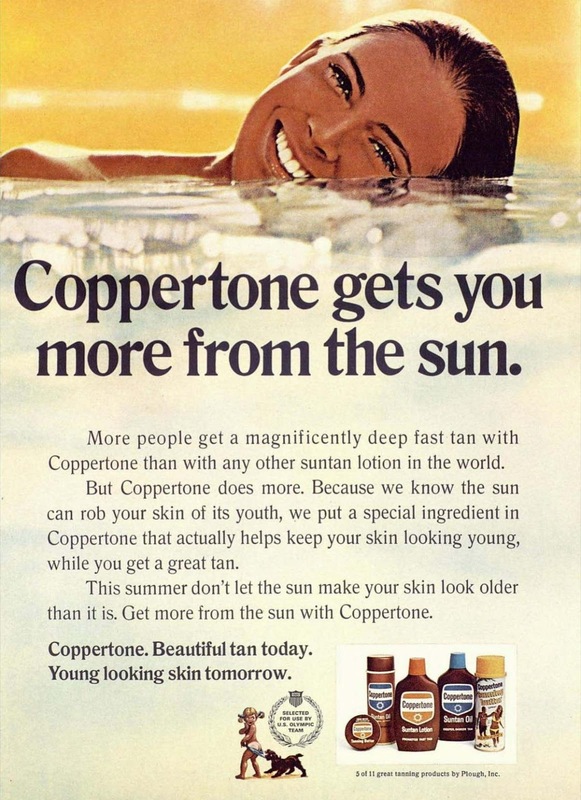 The folks over at Vintage Everyday have assembled a grouping of fun advertisements for various tanning products from the 1960s and 1970s that take us back to when there were very different attitudes about deep suntans. Back in those more innocent times, few additional thoughts or pieces of health advice were given to those who pursued continual, deep, dark tans. On the contrary, a tanned body was one with that "healthy glow." Now, with mounting evidence and study about skin cancer in combination with a more cautious public, advertisements like these glorifying tanned skin are generally a thing of the past. See all 21 classic suntan product advertisements here. "The Sunny Days: Suntan Product Advertisements from the 1960s and 1970s"